Ronnel is basically a quiet but headstrong kid. I was still a producer for Anino Games when Ronnel first approached me during a game design panel presentation. At the time he defended his thesis proposal, he felt that nobody understood what he wanted to do. Most of the people around him were artists of different fields: animation, studio arts, graphic design. While artists from these fields are actually needed in creating a game, none of them (at that time) worked for the video game industry. 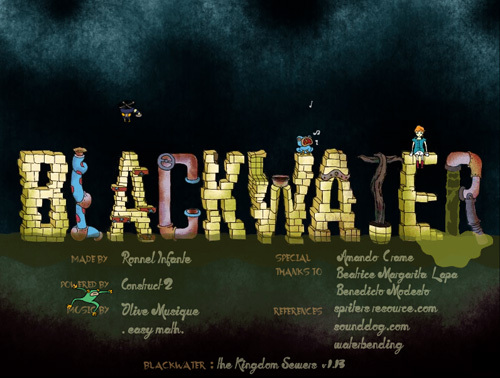 His inspiration for Blackwater were games that were highly visual and didn’t use words, like Machinarium, Botanicula and The Tiny Bang Story, plus many other non-game references. 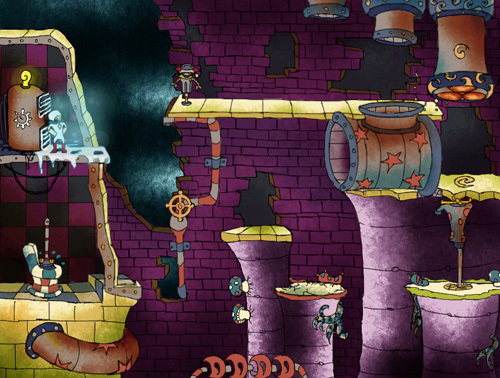 People wanted him to add elements that he felt violated how he imagined his design to be, like putting wordy tutorials and simplified levels that defeated the purpose of a puzzle game. Determined to fight for his design, despite a couple of naysayers from his defense panel, he approached me (with permission from his proposal adviser). When I returned to teach in APC, Ronnel actually “tricked” me into becoming his thesis (multimedia production) adviser. In industry terms, I became his producer. I didn’t think it was possible to cross into another department — I belonged to the Game Development department while he in Multimedia Arts — but he managed to. What I liked best about Ronnel is that despite being soft-spoken, he knew what he wanted to do and he was determined. 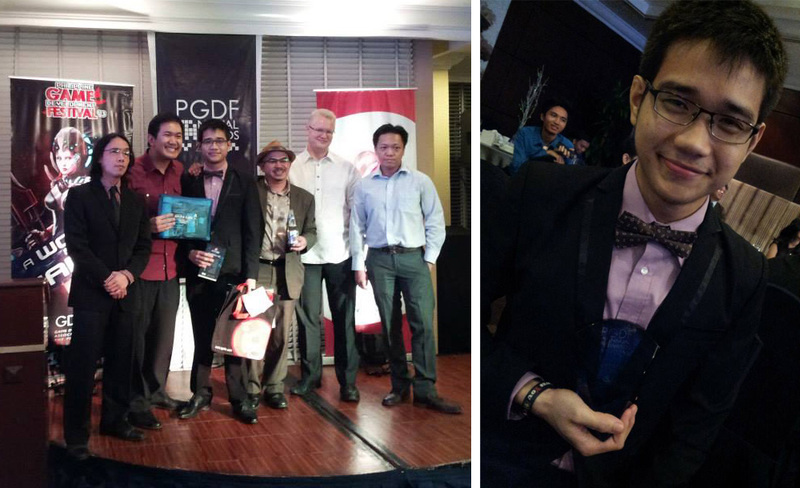 I also had to twist his arm to join the Philippine Game Development Festival 2013. Asia Pacific College students have always been ready for this competition but they never joined. Some of my previous thesis advisees have already gone on to become heads of game studio departments. (Alvin Juban, president of the Game Development Association of the Philippines, told me that Xiao is like the head of the design department of Secret6.) Others have already worked on projects like Final Fantasy XIII, Uncharted 2 and 3, and The Last of Us. Ronnel finally decided to join the competition and — somewhat misunderstanding what category he should be in — did so many tweaks in his game to make it fit a theme. Polish wasn’t even an issue. Using the Experiential Learning Theory by David A. Kolb as a framework, Ronnel aimed at teaching the value of water conservation through this game. Background story told through visuals. Many have taken for granted everything because of increasing technology. A lot don’t know how to conserve and never gave importance even to simple matter like water. Rivers became dirty and so does society. That is why this game study is to promote water conservation. The game, set in a neglected world where a polluted river runs. 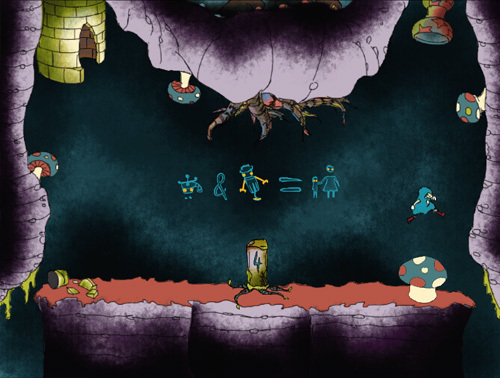 The game will be a puzzle-platformer enabling the characters to think. Actions are executed when destroying robots, jumping high, freezing etc. Another ability of the character and the most important is phase-changing which is done with the help of machines called “molders”. The hero must go to the well in order to progress but will face different challenges throughout the game. Phase changing and water conservation play big roles in the game as well as destroying robots. Some stages start simple enough. (Ronnel was almost disqualified and kicked out of the judging because he initially refused to play his game on account of being too tired of it. Haha!) Blackwater is actually quite challenging, and according to the Alvin Juban, PGDF judges found themselves highly addicted. He said, during the awards night, that this was the only game they spent 45 minutes playing with much enthusiasm. 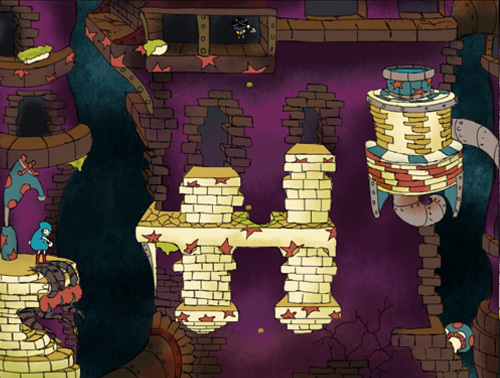 Each level design is meticulously done and many of the puzzles really will make you scratch your head. Not to worry, though. 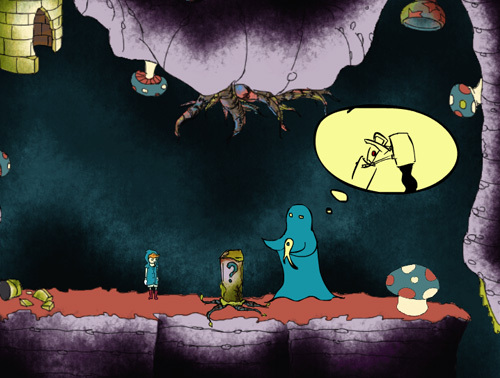 Before embarking on each stage, a few visuals will give you a clue about what skill the protagonist should be using. Like here, he can turn into an ice blasting hero. Blackwater actually took 3 terms to make: (1) research, (2) pre-production, and (3) post-production. As always, the research component is what will make a project distinctive. We can thank his thesis proposal adviser for that. The other night, Alvin, who is also the Operations Manager of Secret6 besides being the GDAP president, told me that he has given an offer to Ronnel. I joked, “That would be the second thesis advisee you would be stealing from me.” Seriously, though, I am very proud of Ronnel and I would be very happy to see him flourish in Secret6. It was such an honor to have been approached by such a remarkable student. This entry was posted by skysenshi on January 10, 2014 at 2:08 am, and is filed under Game Development, Teaching Portfolio. Follow any responses to this post through RSS 2.0.You can leave a response or trackback from your own site.